We cab hardly imagine a world without music. Music communicates emotions,thoughts and inspiration which transcends race, religion and culture. 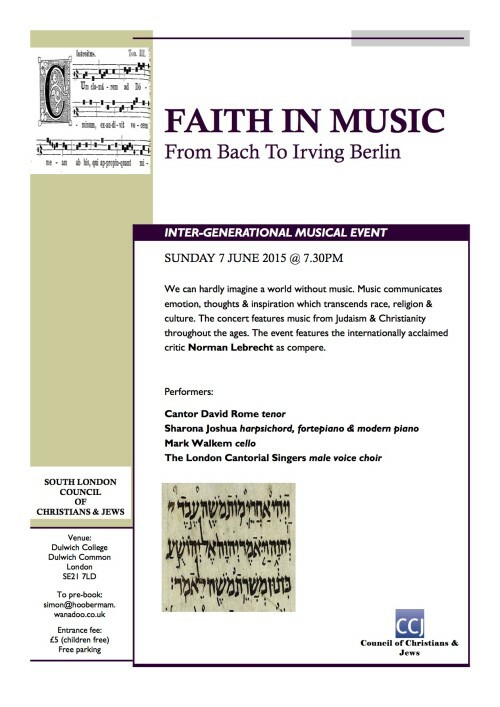 the concert features music from Judaism and Christianity throughout the ages. The event features the internationally acclaimed critic Norman Lebrecht as compere.